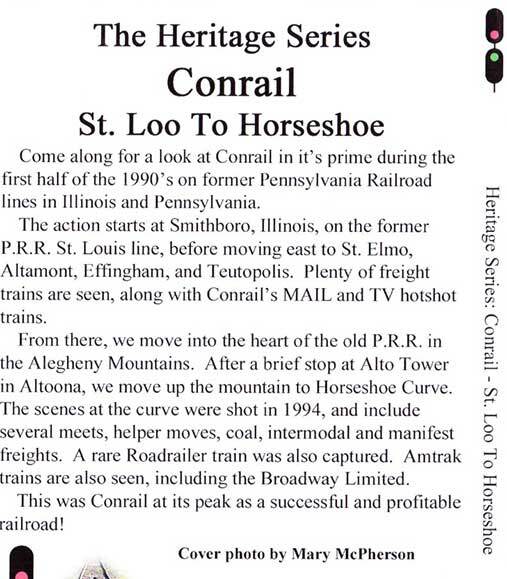 Come along for a look at Conrail in it's prime during the first half of the 1990's on former Pennsylvania Railroad lines in Illinois and Pennsylvania. The action starts at Smithboro, Illinois, on the former P.R.R. St. Louis line, before moving east to St. Elmo, Altamont, Effingham, and Teutopolis. Plenty of freight trains are seen, along with Conrail's MAIL and TV hotshot trains. From there, we move into the heart of the old P.R.R. in the Alegheny Mountains. After a brief stop at Alto Tower in Altoona, we move up the mountain to Horseshoe Curve. The scenes at the curve were shot in 1994, and include several meets, helper moves, coal, intermodal and manifest freights. A rare Roadrailer train was also captured. Amtrak trains are also seen, including the Broadway Limited. 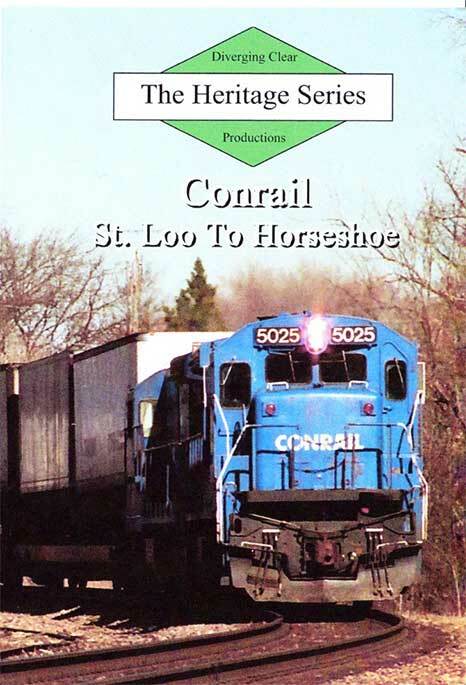 This was Conrail at its peak as a successful and profitable railroad!